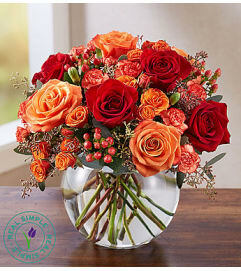 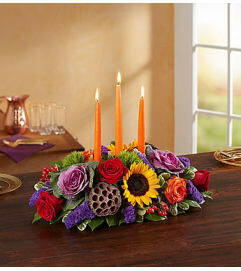 There’s nothing more beautiful than an autumn sunset, which we’ve captured here in our delightful new arrangement! 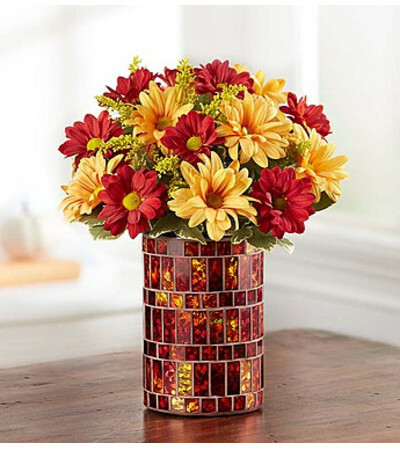 Gathered by hand inside a striking stained glass mosaic vase are charming daisy poms in rich, complementary shades of red and bronze. 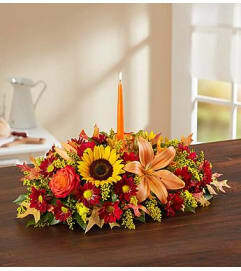 Catching the light at every turn, the keepsake vase can be repurposed as a candle holder for the included tealight candle, or on its own as a unique addition to your fall décor.